I have been slowly restoring a Firestreak and have finally managed to add the elusive nose cone, which was missing. 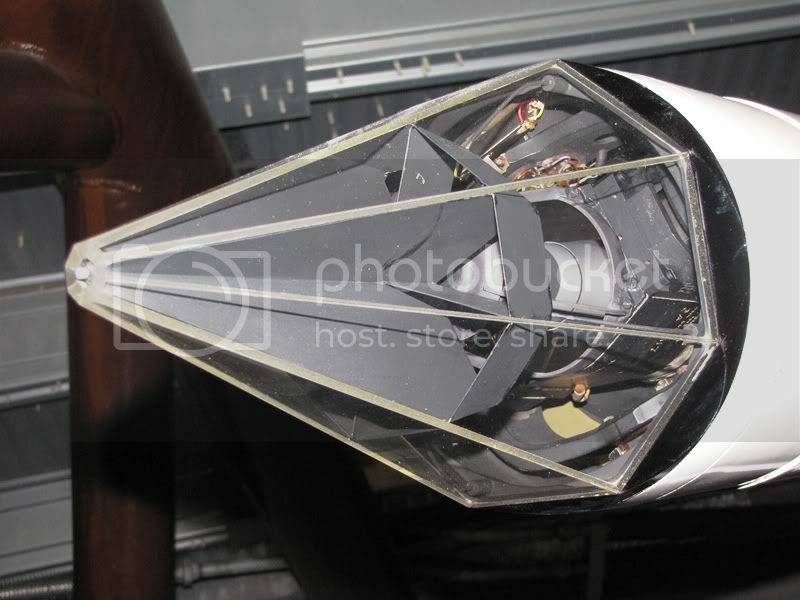 I found the picture below on the internet and was wondering if anybody had the grey vane assembly going spare or had one that they could photograph out of the nose, so I could possibly fabricate one as it id difficult to see the shape? Still looking for a few parts if you have anything surplus to requirements. Excuse my ignorance but not sure if this is a drill round or acquisition round? I bought it on eBay back in May and it had been sitting next to somebody's Koi Karp pond for a number of years! Odd thing about it is that it is fitted with Red Top type (triangular) rear control surfaces rather than the rectangular ones. Sitting exposed to the elements has not been too kind but it is now in the dry. The steel nose cone was made as a replacement and when removed I was pleased to see that the seeker head was still present, but along with alot of corrosion . I shall get some pics up over the next few days and you will see what is needed. No not for the firestreak, the lpg might have ?